We bring forth for our clients a wide array of stainless steel CTC Rotorvane which is made using quality range of steel. Our range is highly demanded by the clients for its durable and safe performance. Also, this range is available in the market in various specifications and features. As well we make cone attachment rotorvane. The HRS-Gyrovane from Vikram India has a robust structure that ensures hassle-free performance. All working components, such as, Barrel, Worm, Vanes, Resistors, Trunnion, Feed hopper, Gable plate, Fastening bolts and Iris End Plate / Cone are made of high quality Stainless Steel material of AISI-304 grade. Rotorvane/Rollovane is available in different sizes made of stainless steel and Gun Metal with Iris Plate or cone. This is primarily used for pre - conditioning of withered tea leaves prior to CTC machine. This is available both on bottom C. I. base plate or on fabricated High base. - Available Size Of 18", 15", and 8"
- Available on heavy duty high pedestal and motor enclosed inside the pedestal. - All contact parts are made of high quality stainless steel. - Capable of handling 1200 to 4000 kgs of leaf per hour depending on the size of the machine. - Available in 8", 15", and 18" size with Iris/Cone assembly. Available on heavy duty high pedestal and motor enclosed inside the pedestal. All contact parts are made of high quality stainless steel. Capable of handling 1200 to 4000 kgs of leaf per hour depending on the size of the machine. Available in 8", 15", and 18" size with Iris/Cone assembly. We offer a exclusive range of Rotor Vanes which is designed using high quality raw material. 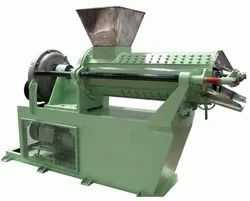 These Rotor Vane Machines are ideal preconditioner for the present day requirement of the tea Industry. In order to improvise the performance of the machine, a great deal of developments have been made for its smoother and trouble free operations. Matching up with the exact requirements of customers, we are involved in presenting a wide array of Rotorvane Machine. Rotorvane machine made out of stainless steel , used for tea processing, rotorvane crushes mashes and tears the leaves. Rotorvane / Rollovane is available in different sizes made of Stainless Steel and Gun Metal with Iris Plate or Cone. This is primarily used for pre-conditioning of withering Tea leaves prior to CTC machine. This is available both on bottom C.I. base plate or on fabricated High base. : Available on heavy duty high pedestal and motor enclosed inside the pedestal.